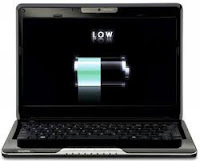 6 tips to improve your laptop's battery life!!! Working on the go and your laptop has run out of juice? This problem plagues most laptops as they tend to lose their battery capacity over time. But worry not, as there are several ways to improve laptops' battery life without too much trouble. So, here are 6 ways to improve your laptop's battery life. Similar to phones, laptop screen is also a power guzzler. Keep the brightness as low as possible. Also, If you also have keyboard backlighting, turn it off. Any external device plugged in the USB port constantly draws power from your laptop. Removing them after use conserves battery. Overheating leads to the internal fans to run faster - which in turn consume more battery. Use a laptop cooler to keep the temperature at bay. Instead of putting your computer on standby, choose to hibernate - it saves the state of your computer and shuts down the computer and saves battery. Laptops running windows have built-in power plan settings. You can choose various items such as display brightness, when to turn off the display/hard-drives and USB power. Use these to improve your laptop battery life. This application records the battery discharge cycle and also shows a detailed battery status including consumption, manufacturer, wear level etc. It also shows CPU and hard drive temperature to indicate any overheating.